Designed to bring signals into the electronic domain from the electromagnetic domain. It pairs with a multichannel power amp to pick up signals from speakers and other magnetic sources and dispatch them to loudspeakers in the space. 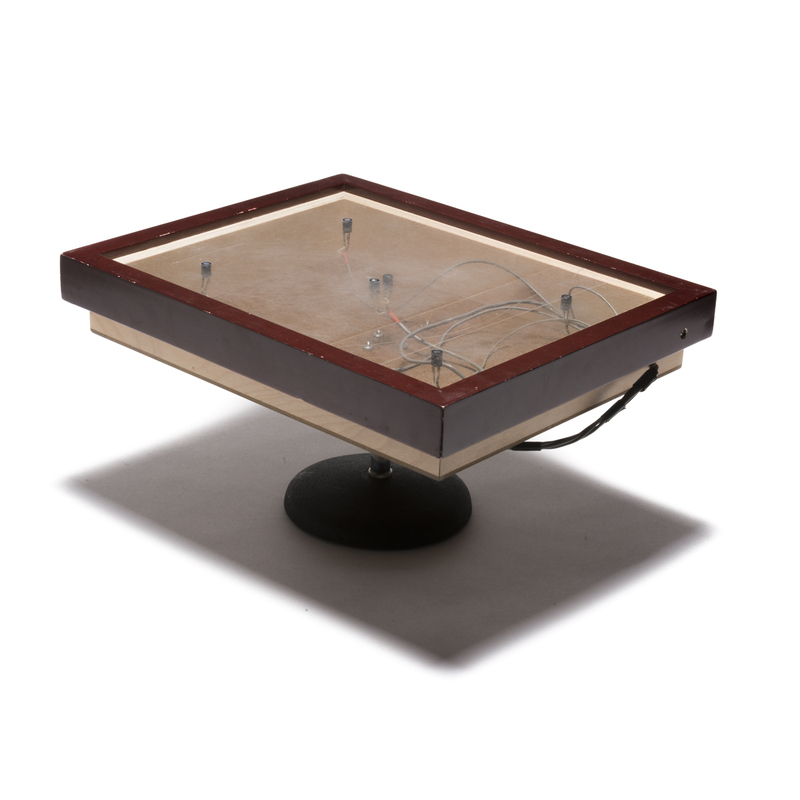 The spatial layout of the pickups on the table is meant to reference the location of the sound sources in the room.